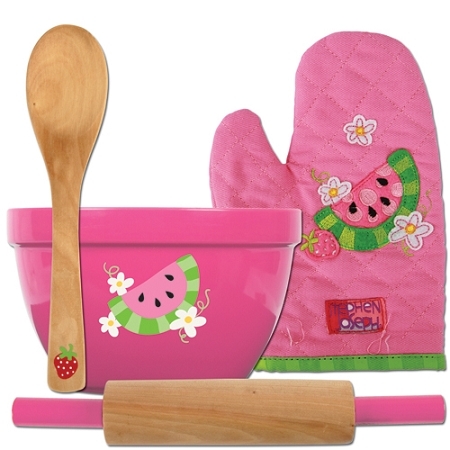 Cook Set Watermelon includes mitt, bowl, wooden spoon and rolling pin. Watermelon set is nicely packed for you to make a real impression on little girls! You can match it with quilted apron. Machine-washable quilted cotton oven mitt measures 5.5" x 8.25"